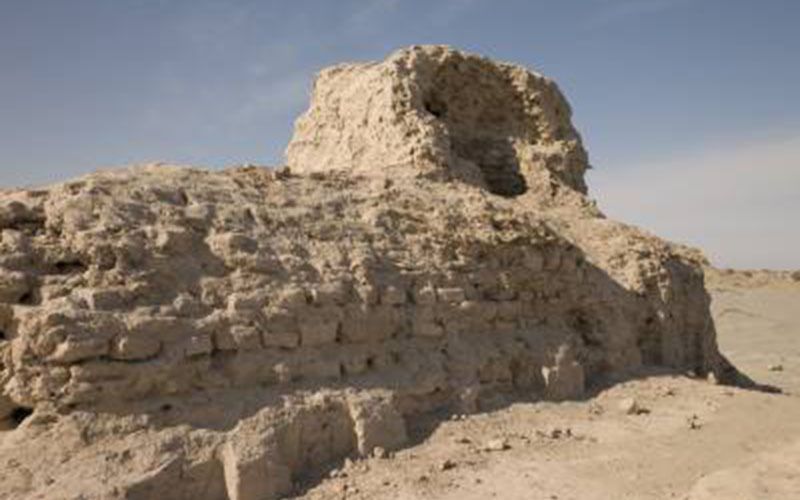 The UCL Institute of Archaeology has launched the Central Asian Archaeological Landscapes (CAAL) project, dedicated to the digitisation of archaeological heritage across this vast region – one that stretches from the Caspian Sea to western China. The project has been made possible by the generosity of Arcadia – a charitable fund of Lisbet Rausing and Peter Baldwin. From megacities to religious sites, from nomadic camps to burial mounds, from mountain forts to complex water management systems, there is an astounding range of archaeological heritage across Central Asia. While many of these sites are already protected by state legislation, a very significant number are not. This fragile record of the adaption of humans to the complex Central Asian landscapes is under threat from multiple activities: development projects, changing agricultural practices (especially given climate change and the changing patterns of irrigation as a result of the collapsing glaciers of the ‘third pole’ in the Himalaya-Hindu Kush mountain ranges), urban expansion and rural depopulation. At present it is hard to estimate the scale of these threats, but this project will help to understand this. The future depends on strategic planning, where archaeological resources are considered as part of planning and sustainable development policies. This cannot happen unless there is solid, and more accessible, platform of information for the local agencies to work with and engage in this debate. The project will create an online digital inventory, adopting the open-source ARCHES inventory package developed by the Getty Conservation Institute and the World Monuments Fund. This will enable a better understanding of the full range of archaeological heritage distributed across the region, fostering its management and protection. This exciting new project is led by Tim Williams (UCL Institute of Archaeology), who is Director of the International Research Centre for Silk Roads Archaeology and Heritage, a joint initiative between UCL Institute of Archaeology and Northwest University (NWU) School of Cultural Heritage and Culture, Xi'an, Peoples Republic of China; both institutions having a long history of Silk Roads archaeology and research. The CAAL project is a partnership between institutions from the Republic of Kazakhstan, Kyrgyz Republic, Republic of Tajikistan, Turkmenistan, Republic of Uzbekistan, and the People's Republic of China (Xinjiang Uyghur Autonomous Region). It also includes the International Institute for Central Asian Studies, based in Samarkand, and the ICOMOS International Conservation Centre Xi'an. The multinational and multidisciplinary team will digitise existing archives and records, and in doing so will consolidate information held by regional institutions and research centres into a single multilingual catalogue. This will be enhanced by new research using a combination of high resolution photographic and satellite imagery, along with ‘on the ground’ field visits, in order to discover new sites, improve documentation, promote awareness and scholarship, and facilitate policy-making to better enable site and landscape preservation. The project will create a shared space for archaeologists, architects, conservation professionals, as well as the wider public interested in the fascinating and varied archaeological heritage of Central Asia. 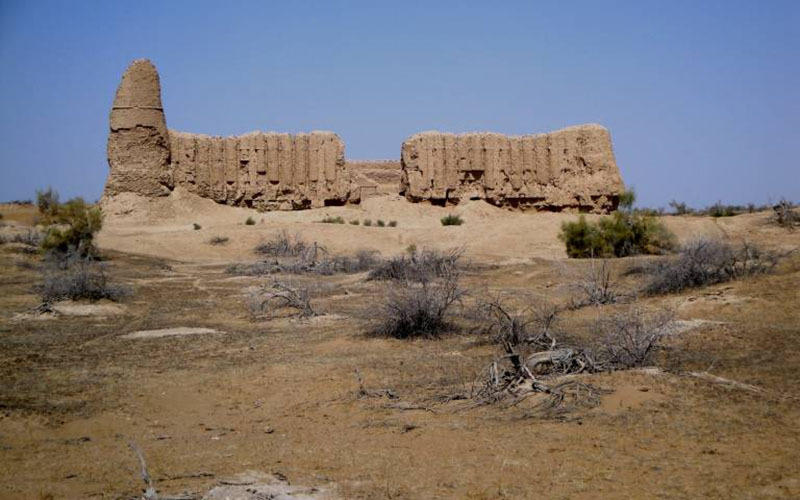 The ancient city of Miran, Xinjiang Uyghur Autonomous Region, PR China was a vitally important oasis city on the Silk Roads, becoming a hub for cultural and economic exchange between western China, Tibet, and Central Asia in the 1st millennium CE. Tumsukly Minara caravansary lies in the Karakum Desert in modern-day Turkmenistan and was a medieval way-station for desert travellers; linking the delta that was home to Merv with the trade routes along the fabled Oxus River (modern-day Amu Darya). Please direct any comments and enquiries to Tim Williams or Kim Te Winkle.